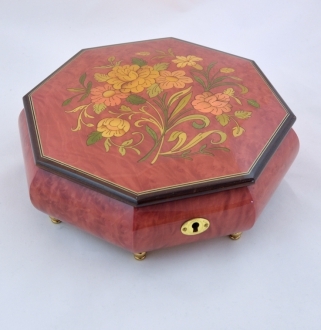 This is a beautiful handmade Sorrento music box. 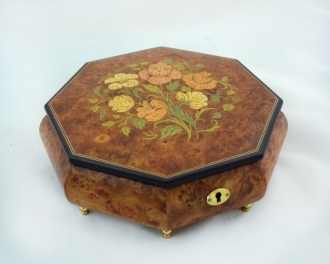 The exterior of the music box is hand painted with Burl walnut, high gloss. 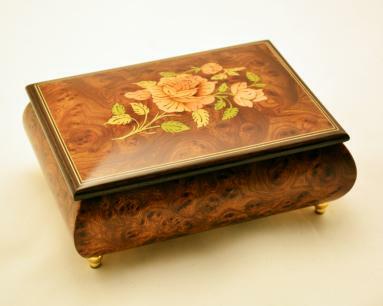 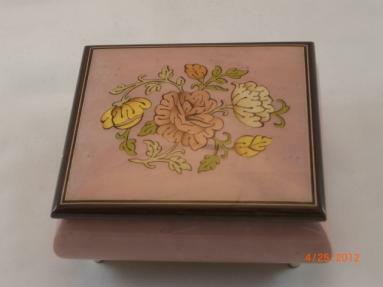 The Burl walnut color gives the box a soft romantic air. 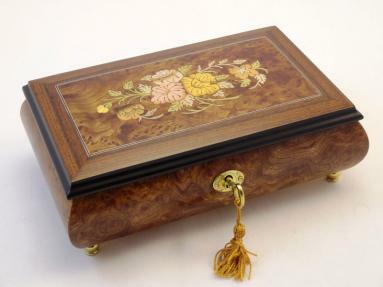 The inside of this Italian music box contains a small trinket compartment where you can keep some precious memento or rings. 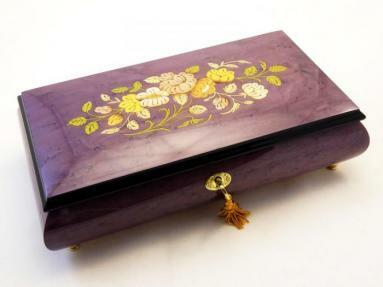 It is lined with soft velvet.